Callous Stigmatization of Healthy Unvaccinated Children | "Global Possibilities"
An ominous turn toward a police state has taken root in Rockland County, New York. The County’s Executive Ed Day, a retired Bronx detective, declared a “state of emergency” and, in essence, ordered house arrest for all children under age 18 who have not been vaccinated with the MMR (measles, mumps, pertussis i.e., whooping cough) vaccine. What are the criteria for declaring a state of emergency? In Rockland County there have been a total of 153 cases of measles since October 2018; 149 have recovered, without lasting ill effects. According to the CDC during the same period, there were 314 measles cases in the U.S.
“On Tuesday, in an extraordinary step, the county executive, Ed Day, declared a state of emergency, effective at midnight, that would bar children and teenagers who are not vaccinated against measles from public places. Mr. Day said he believed Rockland County’s order was the first of its kind in the United States, and several public health experts said that they could not recall any action like it in recent years.” (The New York Times) I have never heard of such a thing ever. The order took effect at midnight on Wednesday March 26th. Parents whose unvaccinated children are seen in public places – which include schools, shopping malls, public transportation, houses of worship, and other indoor spaces in violation of this order will be subject to 6 months in jail, and or $500 fine. CDC reports that the MMR vaccination rate in Rockland County is 82.6%. 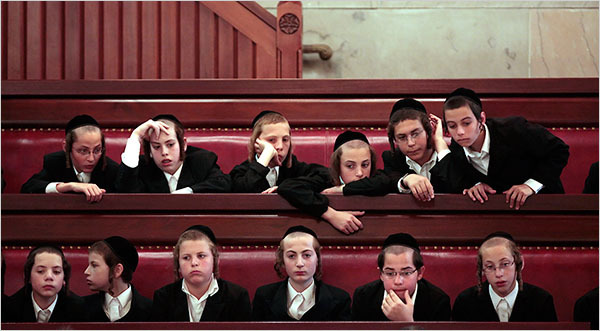 The majority of children whose parents exercise their legal right to religious exemptions from vaccination attend private schools, mostly Hassidic Jewish schools. The rational for the measure to contain the spread of an infectious disease is to quarantine those who are infected and those who have been in close contact with someone who was infected –not to use the opportunity to penalize every child who is not vaccinated. The target population for this draconian move is children who have religious exemptions from vaccine mandates. Rockland County has a large Hasidic Jewish population where religious exemptions from vaccination are common. The majority of measles cases in Rockland county have been in the Hasidic community, imported by travelers. According to CDC, the measles incubation period is 10 to 12 days. Since December children not vaccinated with the MMR have been barred from the Chestnut Ridge school. In March a group of parents from the school filed a federal lawsuit to reinstate their children inasmuch as there was not a single measles case in their school. The excuse for the extraordinary, punitive directive by the County Executive, one that isolates and stigmatizes uninfected, healthy children as pariahs who are now barred from All public social interactions – after having been deprived of an education for over two months –is that there are currently 4 cases of measles in Rockland county – none of who were infected by any of these children. Let’s be clear; “measly measles” is not a life-threatening disease in Western developed countries. During the last twenty years there have been only 3 deaths in the entire United States linked to measles. By contrast, infections due to Clostridium difficile (C difficile), most a result of an exposure to infections acquired at a hospital, or other medical facility, and excessive antibiotics result in more than 29,000 deaths each year according to CDC data. The frenzy about measles is not prompted by a genuine concern for children’s health or well being. It is fomented by a financial concern about the uptake of vaccines. “This is virtually imprisonment of a child, and certainly significantly restricting the child’s liberty.” He questioned whether the order is constitutional. We question the rationale of using state police power to target children when adults who are not fully vaccinated in accordance with government recommendations, are at liberty to come and go. Ed Day has been at the center of controversy; in particular about allegations of antisemitism. In 2016, Sreeramulu Nagubandi (an Asian American), who had served as Rockland County’s Commissioner of Human Rights for 16 years, sued and accused him of antisemitism and attempting to “limit the growth of orthodox Jews in Rockland. The explosive charge accused Day of instructing Nagubandi to make daily living as hard as possible for Orthodox Jews in Monsey and Spring Valley. For those who may not know the history, in Nazi Germany disabled children were forcibly turned into wards of the state; they were the first victims of medicalized murder while their parents were deceived about the “special treatment” they would receive. Most of the measles outbreaks in Rockland County have occurred in Jewish communities, where travelers from Israel have allegedly been infected with the measles there. “First of all, let’s be clear about something, there is no religious exemption. The fact that we got nearly 17,000 young people immunized in a largely Orthodox (Jewish) community tells us it is not a religious exemption. When the Council of Rabbis says to us they want children immunized, it tells us it is not a religious exemption. When a hundred Rabbis in the community work with us to get people immunized, it tells us it is not a religious exemption. I’m a Christian. I know of nothing in my religion that says there is an issue. Day is obviously ignorant about the serious moral reservations that his own Roman Catholic Church has with vaccines made from aborted fetal tissue including the MMR.